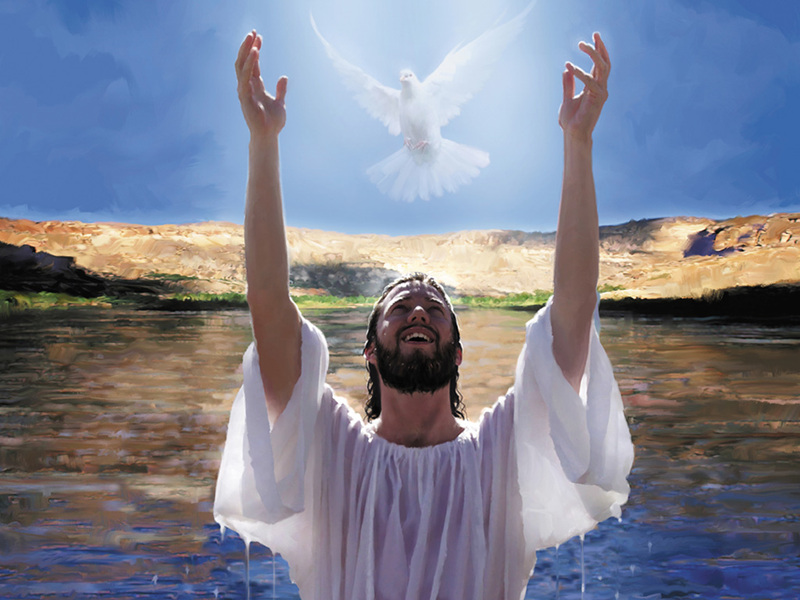 Question: Why did the Heavens open up at Jesus’ Baptism? If, then, our Lord was always perfect in grace and did not grow into closer union with God but was always in perfect union with the divinity, and if the heavens were always opened to our Savior; why, then, did the heavens open to him at his baptism? If the heavens were already opened to him, how could they be opened to him anew? The heavens were opened as a sign for our benefit, for the baptism of Christ is a cause of grace in us. 1) To show that it is a heavenly power which sanctifies baptism and effects the grace of baptism in all those who are baptized. 2) Baptism is the “door of faith”, by which faith we gaze upon the things of heaven. 3) Finally, heaven is closed to us before we are baptized. Thus, because baptism is the opening for us to the way to heaven, the heavens were opened as a sign for us at the baptism of our Savior.